Mary-Kate and Ashley Olsen's designer label, THE ROW, which launched in 2007, was quickly embraced by the fashion community and celebrities alike. Within two years, THE ROW expanded to include apparel, sunglasses, and handbags, which launched in 2009. Their entire handbag collection is spectacular consisting of classic bags with a modern twist. 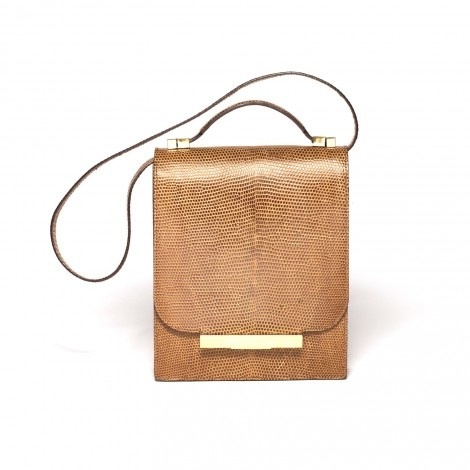 We are dying over this lizard shoulder bag, which retails at $5,450. The simple shape is sleek, and the texture is so rich its lust-worthy!